(Beyond Pesticides, September 14, 2017) Children whose mothers took folic acid while pregnant had a significantly lower risk of developing autism spectrum disorder (ASD) even when their mothers were exposed to household or agricultural pesticides. Researchers at the University of California, Davis found that taking folic acid during the window around conception, reduced the risk of pesticide-induced autism. In the study, “Combined Prenatal Pesticide Exposure and Folic Acid Intake in Relation to Autism Spectrum Disorder,” children whose mothers took 800 or more micrograms of folic acid (the amount in most prenatal vitamins) had a significantly lower risk of developing autism spectrum disorder, even when their mothers were exposed to household or agricultural pesticides that are associated with increased risk. The study used data from the Childhood Autism Risks from Genetics and the Environment (CHARGE) study, where researchers looked at 296 children between 2 and 5 who had been diagnosed with ASD and 220 who had developed typically. Mothers were interviewed about their household pesticide exposure during pregnancy, as well as their folic acid and B vitamin intake. The team also linked data from California Pesticide Use reports, which provided important details about agricultural spraying, with the mothers’ addresses. The results show that mothers who were exposed to household pesticides and took less than 800 micrograms of folic acid during a window from three months before conception to three months afterward had a much higher risk of having a child who developed an ASD than mothers who took 800 micrograms of folic acid or more and were not exposed to pesticides. The associated risk increased for women exposed repeatedly to pesticides, especially chlorpyrifos, other organophosphate pesticides, and pyrethroids – often found in pet flea and tick products, and indoor and outdoor sprays and foggers. However, while folic acid reduced the associated risk of a child developing autism, it does not entirely eliminate it. “It would be better for women to avoid chronic pesticide exposure if they can while pregnant,” Dr. Schmidt said. According to the researchers of this study, folic acid plays an important role in DNA methylation – a process which turns genes on or off- as well as synthesizing and repairing DNA. During the critical stages where a developing fetus is undergoing rapid growth, folic acid may be helping a number of genomic functions. The authors caution that theirs is a case-control study that relied heavily on participants’ memories, and that a causal link has not been established. However, the results warrant a need for larger studies to validate them. The Centers for Disease Control and Prevention (CDC) estimates that about 1 in 68 children has been identified with ASD (or 14.6 per 1,000 8-year-olds). 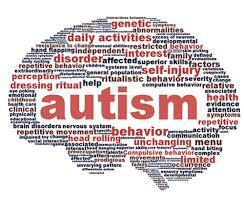 Studies have linked developmental disorders and autism to pesticide exposure. In 2014, researchers found that pregnant women who lived within a mile of agricultural fields treated with pesticides are more likely to have their child develop autism. The study found that living near a field where pyrethroids were applied during a woman’s third trimester corresponded with an 87% increased risk of having a child with autism. Another study reports that higher levels of some organochlorine compounds during pregnancy are associated with autism spectrum disorder and intellectual disability. Further, communities exposed to frequent aerial spraying for mosquito control experience elevated rates of autism diagnoses, according to new research. Additionally, pesticides are also associated with other neurological problems in children. A team from UC Berkeley CHAMACOS, studying organophosphate pesticide impacts on women and children in the Salinas Valley, found that every 522 pounds of combined organophosphate pesticide applications within one kilometer of a pregnant woman’s home correlates with a two point IQ loss in her children at seven years old. Beyond Pesticides tracks the scientific literature related to pesticide exposure through the Pesticide Induced Diseases Database (PIDD). One way to reduce human and environmental contamination from pesticides is buying, growing, and supporting organic food production and lawn and landscape management. Consumer choices encourage the protection of the people who help put food on our table every day by purchasing organic. By buying organic, you support an agricultural system that does not permit the application of dangerous pesticides. For more information on how organic is the right choice for both consumers and the farmworkers that grow our food, see Beyond Pesticides webpage, Health Benefits of Organic Agriculture. This entry was posted on Thursday, September 14th, 2017 at 12:00 am	and is filed under Autism, Children/Schools, contamination, Pesticide Residues. You can follow any responses to this entry through the RSS 2.0 feed. You can skip to the end and leave a response. Pinging is currently not allowed.